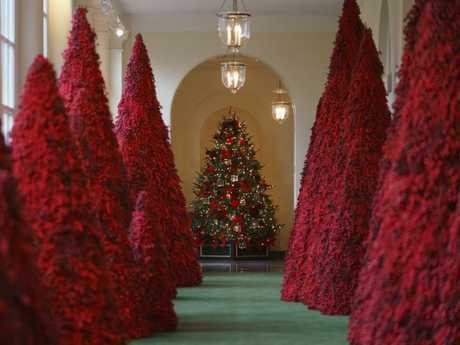 First lady Melania Trump has defended her rather unique choice of Christmas trees for the White House. Bizarre Christmas ornaments are the bane of every family's existence. There's the waxy candle mound your younger brother made in the first grade, which your parents now feel obligated to display on the counter every December. There's the disfigured angel that's sat in your box for 20 years, but never replaced, even though its wings have fallen off and one of its eyes are horribly disfigured. There's the ugly festive vase your Aunt Brenda bought you in 1997, which you're forced to drag out of the garage before she arrives, because that b**ch will know if it's not there. 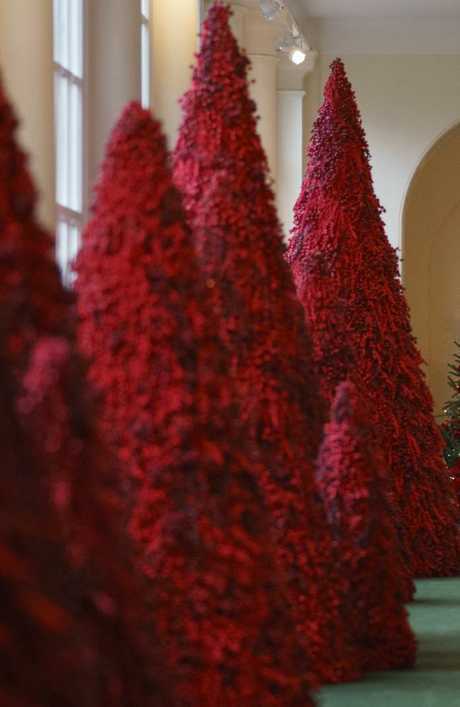 But none of these annual ailments equate to Melania Trump's latest addition to the White House - scarlet-coloured, murderous-looking Christmas trees. 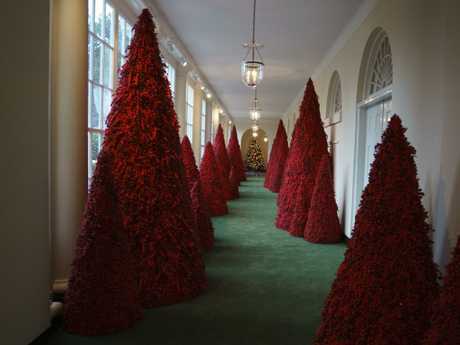 Earlier this week, the First Lady's office unveiled the White House Christmas decor, which included a room of blood-red Christmas trees. The internet was brutal in its response, likening the sinister setting to scenes from The Shining and The Handmaid's Tale - and of course, the Russian government. The First Lady - to be fair - offered up a classy response to the criticism. "We are in 21st century and everybody has a different taste. I think they look fantastic," she said during a panel discussion on the opioid epidemic at Liberty University today. "I hope everybody will come over and visit it. In real life they look even more beautiful, and you are all very welcome to visit the White House, the people's house." According to a press release from the First Lady, this year's Christmas theme is "American Treasures," which has the White House shining "with the spirit of patriotism". "The choice of red is an extension of the pales, or stripes found in the presidential seal designed by our Founding Fathers. 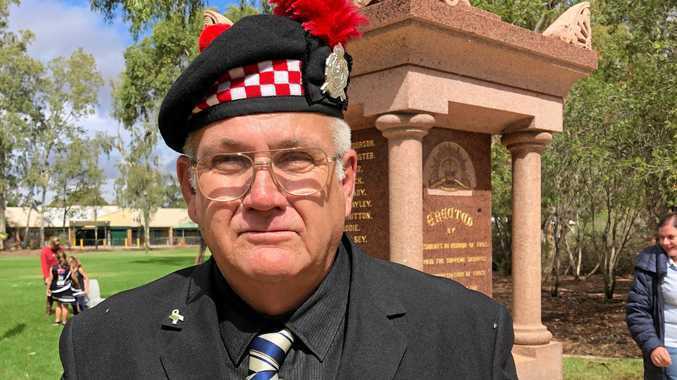 It is a symbol of valour and bravery," it said. When asked whether she gets enough media credit for drawing attention to the opioid issue, Ms Trump said: "I would like that they're focused more on what we're doing, and what we've done and to spread awareness. (The media) would like to portray different stories and focus on unimportant stories." She also appeared to endorse her husband's famous bullying strategy on Twitter, saying it's important to remain "respectful and kind" on social media, "but sometimes you need to fight back, I'm sorry". Ms Trump's spokeswoman, Stephanie Grisham, said the First Lady wanted to "let the decorations speak for themselves". Unconventional as they are, it seems a tad silly for the internet to lose its mind over a few red trees, doesn't it?